This Sunday’s CTC Northampton ride takes us to the corner of Leicestershire and Warwickshire, with lunch at the Manor Farm Tearoom in Catthorpe. This is not a long ride (40 – 45 miles), but the route is quite undulating in places. We start at 9.30 a.m. at the Brampton Valley Way / A5199 crossing. There is a car park on Brampton Lane opposite The Windhover. After a couple of hills there will be an early coffee stop at Seaton’s in Guilsborough (10 miles). The rest of the route includes Yelvertoft, Catthorpe and, after lunch, Barby, Long Buckby and Great Brington. Currently the forecast for Sunday is relatively good: dry with sunny intervals, fairly cool (3 to 7 degrees) with a light wind from the south-west. Please keep an eye open and dress appropriately. Apologies to Iain D! I promised to write up a report on his ride to Kelmarsh and then forgot! 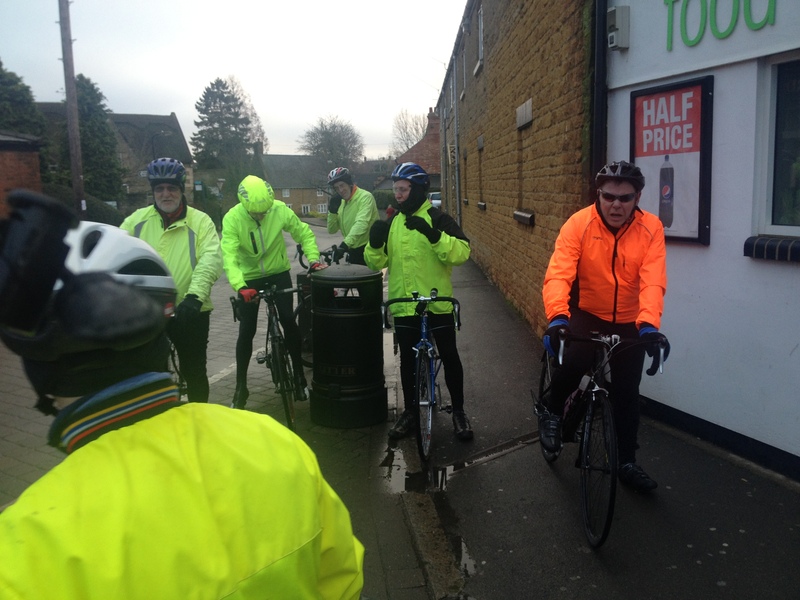 A dozen riders gathered at Moulton for Iain’s ride and, once again, he took us on a route that was different from one we had ridden before; and certainly not what any of us were expecting. That’s always a bonus! We left Moulton along the Pitsford road and then headed up to the reservoir, crossed the dam, and pedalled into Brixworth. We left that village on the Creaton road before heading into Cottesbrooke, crossing the A5199, and climbing up to Guilsborough. This was indeed going to be a different route to Kelmarsh! Next we were off to Cold Ashby before going through Welford and approaching Naseby from the west! Then we were over and under the A14 – on some lovely smooth tarmac which Iain had deliberately sought out – and into Kelmarsh (and the World Peace Café at the Buddhist Centre) by noon. In a large group, which constantly re-arranged itself, these twenty-five miles flew by with conversation and banter! The café proved up to serving twelve hungry cyclists and showed that we don’t have to have beer with every meal! We started again after lunch going further north to Arthingworth and signposts for Desborough before turning south through Harrington, crossing the A14 (for the sixth time! 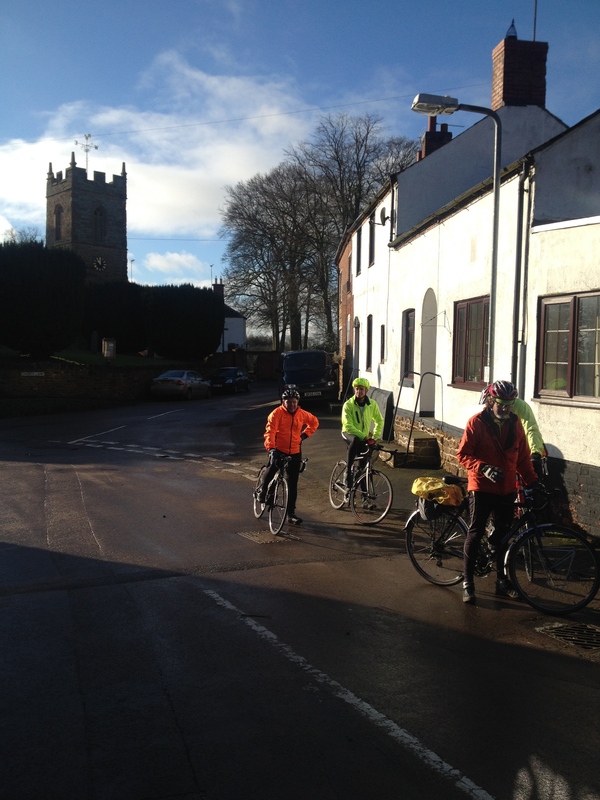 ), and pedalling through Old, Walgrave and Holcot on our way back to Moulton. Fifteen miles after lunch. Thanks to Iain for a well organised route: at this time of year a one-stop ride means we got the mileage in and were home early in the afternoon well before the need for lights. 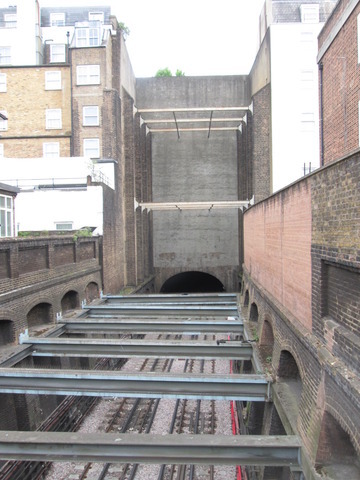 This could be a model for one or two rides in the summer on occasions when members don’t want to be out all day. Everyone certainly enjoyed themselves! And the weather was kind to us too! The weather prospect for this weekend was ghastly, but Friday night promised a reprive for Saturday morning. And that was it. A mostly grey sky, but no rain, and a light wind. This suited me fine for my first trip out on two wheels in this new year, and a gentler “leisure” ride was just what I needed. The ride was mostly as Brian planned, with a few variations. A sub-group went off to test the hillier bits towards Creaton, and those with weaker legs (me) took the easier route back to coffee at Moulton. Our thanks to Brian for leading us today! 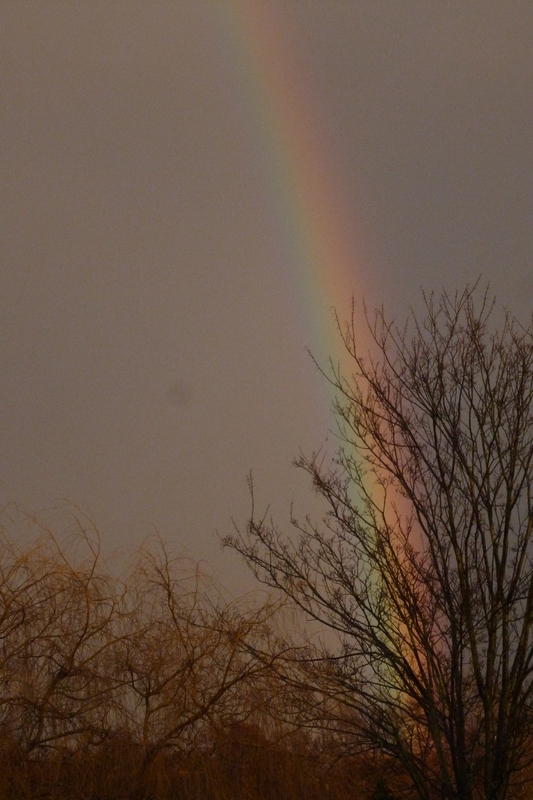 The final photo is of the rainbow after the mid-afternoon’s storm: thank goodness we weren’t out in that ! We met in Reception and parked our bikes in the 18th-century Courthouse Room before being invited into the Blue Room to attend the meeting. Seven members of the Cabinet were meeting and the room was packed with other councillors. I was a little surprised at this but a journalist from the Chronicle & Echo to whom I got chatting said that our item was the one which had attracted them. I’d wrongly assumed it would be the item after ours – about HS2! John was very good. He opened with our objection to the making of St Giles Terrace one-way for all vehicles (severing the west-east cycle route from the Railway Station to Billing Road), following up with observations on the opportunity to make the town centre more cycle-friendly (this time by allowing two-way cycling in Abington Street) in preparation for the re-location of the university to the town centre. Then something happened that reminded me of rowdy teenage boys in a classroom! The councillors on the floor began to argue amongst themselves, swearing loudly! I think the chair was a little non-plussed at this. She asked for an end to swearing. “You tell him off for swearing then! He swore at me first!” said one – clearly finding his inner thirteen-year-old. Amazing! We’ll be heading out to the Buddhist Centre in Kelmarsh on Sunday. Sadly, their free drink for the New Year offer has ended but their café always has something suitable on the go for hungry cyclists so it will be a pleasure to visit again, I’m sure. The route out takes us through Brixworth and Cold Ashby and into Welford before ducking back towards Naseby and Kelmarsh. The return leg involves Arthingworth and Old and should bring our mileage for the trip up to around 45 miles. This is a one-stop-only ride after all! The route is a little contorted, mainly so I can include a couple of my favourite stretches of tarmac – no apologies – but also to give us a shortcut in case of cruddy weather. Which hopefully won’t be the case. I’m hoping Cold Ashby won’t be living up to its name too faithfully either. Although we should be back well before dark, it would be sensible to bring lights to be seen by. #sherlock ? CTC Northampton was there first! 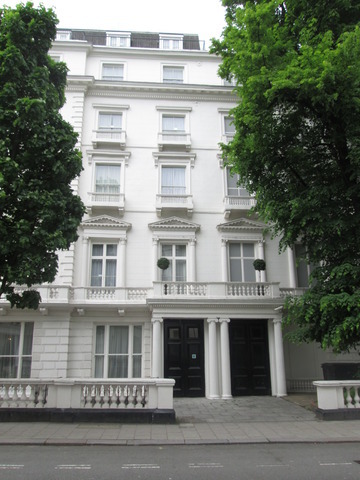 Members who enjoyed our London ride last June will have beaten John Watson to the location of Leinster Terrace in tonight’s episode of #sherlock – many thanks to Iain D for having led us there! What a great day for a ride! Bright winter sunshine and no rain – what’s going on?!! So good was the weather in fact, ten of us turned out a brisk and bumpy ride to Irchester Country Park. An excellent opportunity to ‘burn off’ some of that Christmas pud! 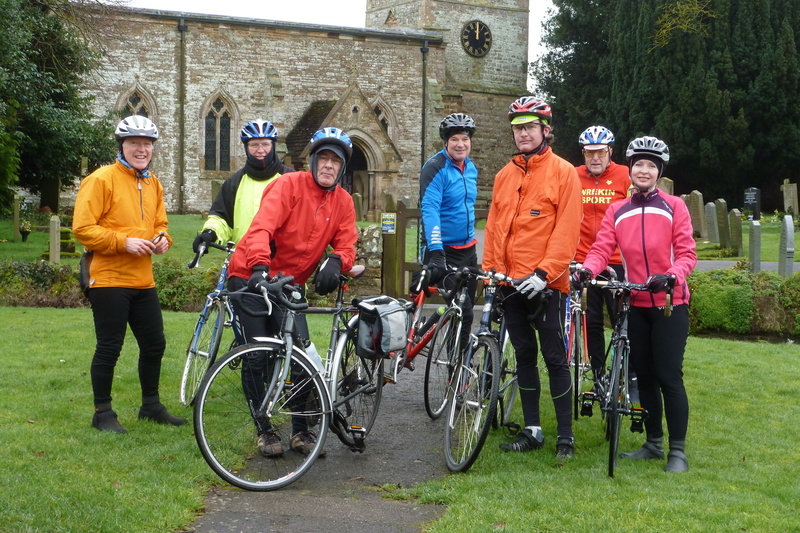 Splitting into two groups meant we could cater for different riding speeds and appetites and I think we all enjoyed breezing through the villages of Whiston, Castle Ashby, Bozeat and Hinwick before regrouping at the country park for coffee and cake refuelling! We split again for the return via the Wollaston-Great Doddington route which incidently is still rideable for bikes despite closure notices for vehicles while they strengthen the bridge over the river -there’s a footbridge available for pedestrians. My thanks to Brian for leading the other group today.